A tree - lined driveway leads to the south facing castle, surrounded by its park, enjoying a clear view and seconded by the old vegetable garden surrounded by stone walls and the orchard. The castle which will require a refresh, offers about 233m 2 more attics to restore with: · Nice foyer of entrance with staircase · 1 kitchen · 1 dining room · 2 living rooms in succession with double exposure. · The 4 bedrooms are on the 1st floor (between 20 and 26m2) · 1 bathroom · 1 bathroom · 2 attics, under restoration, on the 2nd floor of each end of the castle. · Basement under all with cellar, boiler room and other. 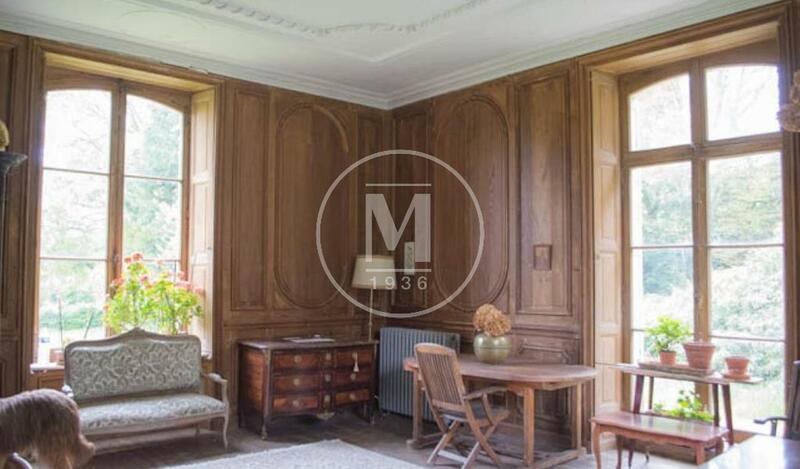 The outbuildings, grouped around an inner courtyard, between the castle, its vegetable garden and the orchard, offer: · Stable · Garage · Poultry house · Pyre · Small house to be restored · Various offering the possibility of restoration in a guest house and gîtes . It is a beautiful place, full of promise, quiet and without neighbors, ideal for nature lovers looking for tranquility. Full of potential, this property will adapt to most projects.